Make a grand statement to business associates and clients with our amazing catering services at your next open house. We work with a number of realtors in the Niagara on the Lake area. We know making a good first impression is crucial in the real estate world, and we can make any home or apartment shine with people enjoying themselves in your showings. Let our exceptional food and service help you make a good first impression to associates and clients at your next open house. At Niagara Catering Services, we understand the luxury and style clients expect. We won’t disappoint and offer a wide variety of serving and food options for your guests to enjoy. Whether you want to treat your guests to an unbelievable get-to-together, or need a more intimate setting with potential clients, we are your catering service provider. We perform at the highest level of professionalism to create any mood and atmosphere you may desire. 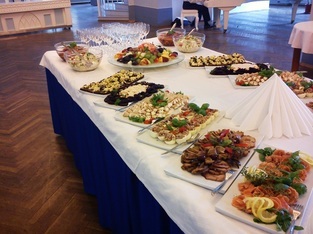 Nothing is unchecked with our catering services. We make sure the food presentation, prep work, service, and any dessert bars or banquet dishes are fully stocked and ready for your guests. We can also time when and how dishes are prepared to allow the evening to flow more formally. If you desire a more relaxed environment, choose from our many menu options or customize the dishes to your preferences. We are here to accommodate you and all your catering needs. With amazing chefs and the highest quality of ingredients, you can trust you’re serving truly amazing food to your clients, friends, family, and business associates. We are able to adapt to any residence or apartment. 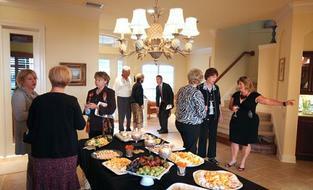 We go the extra mile to ensure you have a wonderful open house. Whatever your needs may be, let us help you. Call us today for different cuisines and dietary options. Because we are familiar with the Niagara area, we can guarantee prompt set up and arrival time. We take the stress off you when it comes to planning and preparing food for a number of people. 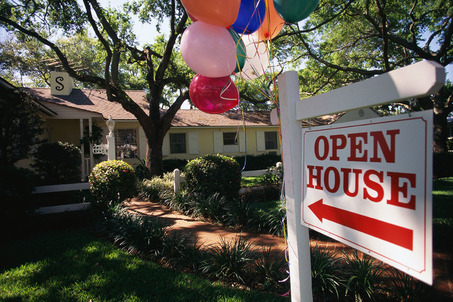 When planning an open house, we know how important a good first impression is. Let us have the food part covered. We make set up, serving, and clean up look easy. Our staff is highly trained to serve you with ease and efficiency. We make sure all guests are enjoying the food, and can even prepare special dishes to go along with any themes you may wish to have at your open house. 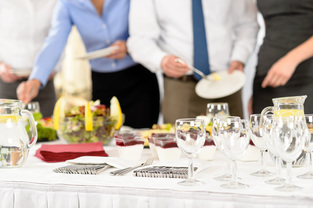 Make a grand statement in the real estate world to clients with our amazing catering services. Making a good first impression is important, so let our exceptional food and service make it for you. Here at Niagara Catering Services, we understand the luxury and style clients expect. We won’t disappoint, and offer a wide variety of serving and food options for your clients to enjoy at your next open house. Once clients see how entertaining and welcoming your showing is, the offers will come flying in! Complete the form on this page or call us at 289-273-2266 for a free quote on your next open house or catered graduation event!